Replacement of bridge spanning the Klamath River connecting Klamath River Road to Hwy. 96 in Siskiyou County, CA. Retrofit of supporting pier after scour on HWY. 20 between Marysville, CA and Yuba City, CA. The Trinity River Bridge Replacement on Eagle Creek Loop Road near HWY 3 is located in northern Trinity County. Drilling for CIDH concrete pile for the Swillup Creek Bridge foundation on State Hwy 96. Construct new three beam barrier rail on State Highway 99. Consisted of bridge repair of three bridges with concrete barrier rail and installing polyester concrete overlay. Upgrade existing guardrail and construct earth retaining structures along a seventy mile stretch of State Hwy 299. Remove and replace existing bridge with three span concrete flat slab bridge. 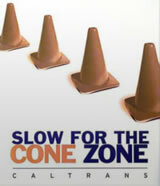 Construct temporary signal to place traffic in a single lane away from active slide conditions. Replace existing concrete pile bridge bents damaged by streambed scour. Replacement bents consisted of concrete bent caps supported on concrete columns and CISS pile. Remove and replace existing bridge with a new cast-in-place bridge consisting of two abutments founded on driven pile foundations, with roadway approaches and paving. A concrete girder was damaged by an over-height load on Garden Ave overpass on Highway 70 in Oroville. The 1000 lineal foot Echo Tunnel was repaired by installing a HDPE liner with inlet and outlet structures. Mark Suden Mining Construction was subcontracted for all underground activities. The project involved replacing two existing 1.5 MG above ground concrete tanks with a single 4 MG above ground steel tank. Replace existing culverts on Highway 96 with a 45' clear span, pre-cast, and prestressed voided slab bridge on CIP concrete abutments. Install a temporary signal and detour on a 20' tall sheetpile retained embankment adjacent to the structure excavation. Remove and replace existing bridge with double span flat slab bridge with cast in place concrete abutments and a precast concrete pile bent.